I have not personally researched the genealogy of the McJunkin family; the following report has been generated from secondary sources only. Accordingly, the report should be used as a starting point only, to use in forming genealogical hypotheses. To prove these hypotheses, the reader of this report must provide his/her own supporting rationale obtained from personal family documents such as Bible records and/or memoranda; and from official documents such as wills, deeds, court minutes, etc. 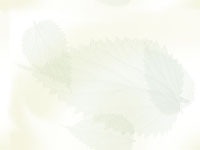 The ancestor numbering system utilized in the report is that recommended by the National Genealogical Society (NGS). 1) "Southern Colonial Families," by David A. Avant, Jr., Volume 3, pages 361-411 (published 1989). 2) "A History of Union County," Union County Historical Foundation, pages 190-191, (published 1977). 3) "McJunkin: A Family of Memories," by Martha McJunkin Rhyne (published 1989). 1. Robert1 McJunkin was born Abt. 1680 in Scotland. He married Margaret Caldwell. She was born Abt. 1686 in Ulster Province, Ireland. + 2 i. Samuel2 McJunkin, born Abt. 1725 in County Tyrone, Ulster Province, Ireland; died 25 April 1808 in Christian County KY.
2. Samuel2 McJunkin (Robert1) was born Abt. 1725 in County Tyrone, Ulster Province, Ireland, and died 25 April 1808 in Christian County KY. He married Ann Bogan 09 September 1754 in Wilmington, Delaware. She was born Abt. 1730 in Pennsylvania Colony, and died 1781 in South Carolina. Samuel McJunkin purportedly migrated to America in about 1740; he married Ann Bogan at Holy Trinity Church in Wilmington, Delaware on 9 September 1754. His first son, Joseph, was born in Chester County PA on 22 June 1755. To avoid Indian problems along the PA frontier, the family migrated to South Carolina, arriving in the Tinker Creek area of what is now Union County SC on 24 December 1755. All of Samuel's other children, starting with Daniel, were born in this area of South Carolina Colony. A number of other families migrated to South Carolina with the McJunkins, including the Brandons, Bogans, Youngs, Steens and Kennedys. The earliest mention of Samuel McJunkin, Sr. in the official records of South Carolina, that I have been able to find, is when he surveyed a 150-acre tract of land located on Tinker Creek, on 23 May 1765. He received a patent for this land on 13 February 1768. It is interesting to note that a certain John Mayfield also received a patent for 100 acres on Broad River on 13 February 1768. However, I do not believe that there was then any connection between the Mayfields and the McJunkins at this early date. Tinker Creek and Mayfield's grant on Broad River are a considerable distance apart (about one day's ride on horseback). In point of fact, the Governor of the Province signed a large number of grants on that date - the McJunkin Grant and the Mayfield Grant just happened to be in the same group. My personal view is that the Mayfields and the McJunkins did not know each other socially until members of both families removed to the Upper Saluda River area in Greenville County after the end of the Revolution. 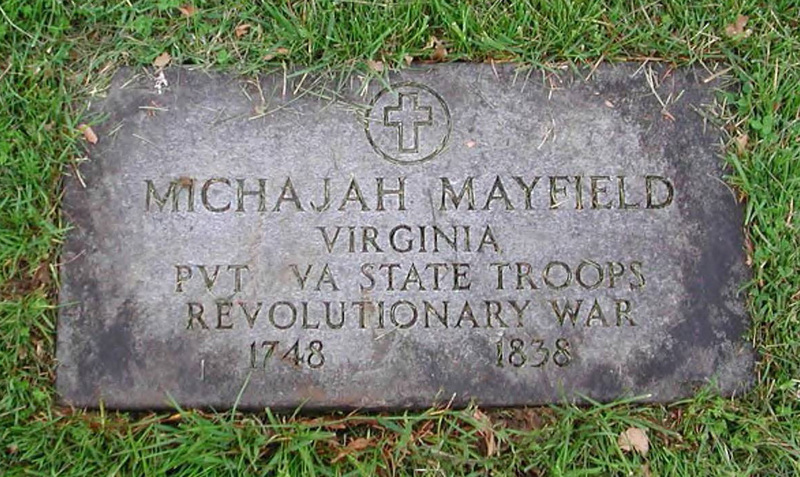 Also, the Mayfields in the Upper Saluda area, e. g., Micajah, Isaac, Randolph, Jesse, etc. were members of a different branch of the Mayfield family than the John Mayfield (who probably was Lt. Col John Mayfield, the Loyalist Leader) who patented land on Broad River in 1767. 3 i. Anne (Nancy)3 McJunkin. She married Daniel Conner. + 6 iv. Major Joseph McJunkin, born 22 June 1755 in Chester County PA; died 31 May 1846 in Union County SC. + 7 v. Daniel McJunkin, born 30 November 1756 in South Carolina; died 20 March 1825 in Greenville County SC. + 8 vi. Samuel McJunkin, born Abt. 1759; died 31 October 1841 in Greenville County SC. 9 vii. Margaret McJunkin, born Abt. 1760. She married Captain Robert Beatty. 10 viii. Robert McJunkin, born Abt. 1762 in South Carolina; died June 1780 in South Carolina. 6. Major Joseph3 McJunkin (Samuel2, Robert1) was born 22 June 1755 in Chester County PA, and died 31 May 1846 in Union County SC. He married Ann Thomas 09 March 1779 in Ninety-Six District SC, daughter of Colonel Thomas and Jane Black. She was born 15 January 1757 in Chester County PA, and died 17 March 1826 in Union County SC. This Joseph McJunkin is a well known Revolutionary War soldier, whose "Memoirs" is a significant primary source of information concerning the War in the SC Backcountry. 11 i. Samuel4 McJunkin, born 25 January 1780 in Ninety-Six District SC; died 01 June 1815 in Union County SC. He married Jemima Glenn Saunders Abt. 1803 in South Carolina; born May 1783 in Goochland County VA.
"Union District - 1 June 1815. 12 ii. Ann Jane McJunkin, born 16 November 1782. 13 iii. John Thomas McJunkin, born 29 January 1785. 14 iv. Abraham McJunkin, born 27 February 1787. 15 v. William Humphries McJunkin, born 16 January 1789. 16 vi. Joseph McJunkin, born 08 October 1791. 17 vii. James Black McJunkin, born 20 November 1793. 18 viii. Benjamin McJunkin, born 20 October 1796. 19 ix. Amelia Sarah McJunkin, born 31 May 1799. 20 x. David W. McJunkin, born 02 May 1801. 21 xi. Davis L. McJunkin, born 16 February 1803. 7. Daniel3 McJunkin (Samuel2, Robert1) was born 30 November 1756 in South Carolina, and died 20 March 1825 in Greenville County SC. He married Jane Chesney 28 February 1782 in South Carolina, daughter of Robert Chesney and Elizabeth Purdy. She was born 15 September 1763 in County Antrim, Ulster Province, Ireland, and died 27 August 1841 in Greenville County SC. Jane Chesney is the sister of the well known Loyalist leader, Alexander Chesney. Alexander Chesney's "Journal" is a primary source of information on the Revolutionary War in the SC Backcountry. My understanding is that there was much consternation in the McJunkin family, particularly from Daniel's brother, Major Joseph McJunkin, when Daniel married the sister of a leading Tory. At the time, in 1782, the Revolution was virtually over, but ill feeling between the loyalists and rebels lasted for many years after the end of the War. Jane Chesney's family had arrived in South Carolina from Ulster Province, Ireland, in October 1772. After a few months search for good land, the family settled on a 400-acre tract on the north side of Pacolet River near Grindal Shoals, about 12 miles from where the Pacolet empties into the Broad River. At the time, this land was in the Ninety-Six District of SC, in that part which, after the Revolution, became Union County. 22 i. Joseph Dyer4 McJunkin, born 01 December 1783 in Ninety-Six District, South Carolina; died 27 January 1855 in Union County SC. He married Lanetty Evans. 23 ii. Elizabeth McJunkin, born 05 November 1785. 24 iii. William McJunkin, born 28 November 1787 in Union County SC; died 11 December 1874. He married Mary Bailey. 25 iv. John McJunkin, born 27 October 1792. + 26 v. Samuel McJunkin, born 23 October 1795 in South Carolina; died 17 April 1873 in Polk County TN. 27 vi. Margaret McJunkin, born 20 July 1798. 28 vii. Daniel McJunkin, born 12 March 1800; died 10 November 1882. He married Elender Douthit. 29 viii. James Bogan McJunkin, born 06 December 1803. 30 ix. George Shotwell McJunkin, born 19 May 1807. 8. Samuel3 McJunkin (Samuel2, Robert1) was born Abt. 1759, and died 31 October 1841 in Greenville County SC. He married Sarah Elizabeth Brumette. + 31 i. Ann (Nancy)4 McJunkin. 32 ii. Mary (Polly) McJunkin. She married _____ Cobb. 26. Samuel4 McJunkin (Daniel3, Samuel2, Robert1) was born 23 October 1795 in South Carolina, and died 17 April 1873 in Polk County TN. He married (1) Catherine Elizabeth Kerr Abt. 1817 in Polk County TN, daughter of Richard Foreman and Elizabeth Kerr. She was born 01 January 1800 in Tennessee, and died January 1871 in Izard County, Arkansas. He married (2) Jane McClanahan Abt. 1848 in Polk County TN. She was born 26 January 1820 in Blount County TN, and died Abt. 1903 in Polk County TN. Samuel McJunkin served in the War of 1812 as a horse farrier under Captain James Monroe. By occupation, he was both a blacksmith and gunsmith. In about 1837, Elizabeth, who was half Cherokee, removed to Arkansas - probably with a group of Cherokees that were forced to remove west of the Mississippi. Prior to the Cherokee removal, the couple had experienced serious marital difficulties. Elizabeth claimed that she had been abused by Samuel; the couple were formally divorced on 23 August 1841. When she departed to Arkansas, Elizabeth took three of her four children with her, i. e., Hester, Tilman and Juliette; these three children lived out their lives and died in Arkansas. Thadeus Turk McJunkin stayed behind in Tennessee. 33 i. Hester Ann5 McJunkin, born 01 December 1818. 34 ii. Tilman Roland McJunkin, born 09 July 1820. 35 iii. Juliette Mandyville McJunkin, born 01 October 1825. 36 iv. Thaddeus Turk McJunkin, born 26 June 1833; died 1908 in Bledsoe County TN. He married Mary Johnston Abt. 1848 in Polk County TN. 37 i. James Samuel5 McJunkin, born 1850. 38 ii. Louisa Jane McJunkin, born 1855. 39 iii. Margaret Angeline McJunkin, born 1961. 31. 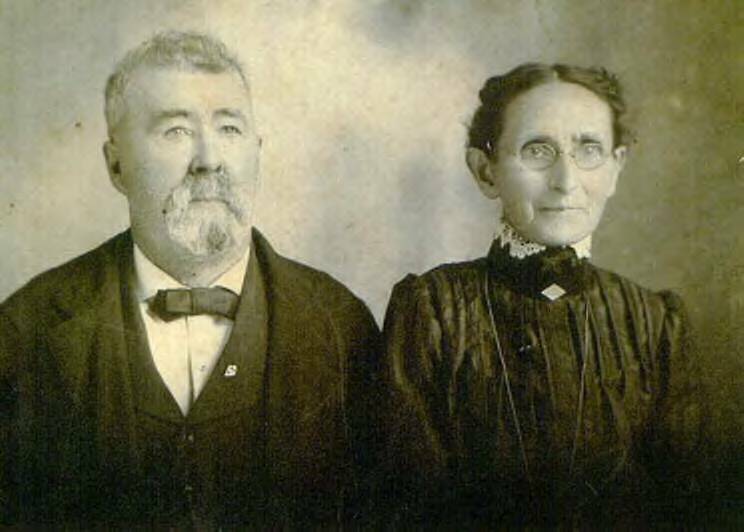 Ann (Nancy)4 McJunkin (Samuel3, Samuel2, Robert1) She married Pearson Brummett Mayfield Abt. 1811, son of Jesse Mayfield and Penelope Brumette. He was born 04 June 1789 in Greenville County SC, and died 16 January 1832 in McMinn County TN. + 48 ix. William Mayfield, born 15 January 1818 in Greenville County SC; died 05 March 1897 in Greenville County SC. 48. William5 Mayfield (Ann (Nancy)4 McJunkin, Samuel3, Samuel2, Robert1) was born 15 January 1818 in Greenville County SC, and died 05 March 1897 in Greenville County SC. He married Lillian Blythe, daughter of Reverend David Blythe. She was born 22 August 1829, and died 05 November 1901 in Greenville County SC. "His father was William Mayfield, farmer, born in South Carolina but moved while a boy to East Tennessee, and there resided until after the end of the Confederate War, who spent most of his life on his plantation near Marietta, Greenville County, and was a delegate to the first Greenville County Democratic Convention in 1876. In his native Tennessee, he had served the Confederacy and had furnished supplies to the Confederate army in East Tennessee. His wife, mother of S. S. Mayfield, was thrown into prison for releasing Reuben Maston, condemned to be hanged for having led an attack upon Union forces passing through the defiles of Chilhowe Mountains, East Tennessee, along the banks of the Hiwassee River. She was kept in solitary confinement for six weeks. "William Mayfield's father was Pearson Brummett Mayfield, son of Jesse Mayfield, farmer of Athens, McMinn County, Tenn. ... William Mayfield married Miss Lillian Blythe, daughter of Rev. David Blythe, Marietta, son of William Blythe, son of St. George Blythe, son of James Blythe, minute man of Wilmington, N. C. David Blythe was a farmer and a Baptist minister and gave liberally to Furman University. He opposed secession from the Union, but equipped and sent three sons to the Confederate army. Absolom, Thomas and David - David was killed in the attack Peach Orchard Battery at Gettysburg. William Blythe was given land in the Cherokee strip for Revolutionary War services. He was a farmer. The family came from Blythe Wood, England. ... "
William Mayfield is buried in the Friendship Baptist Church Cemetery located near the Greenville - Pickens County Line. Dates of birth and death are taken from his tombstone. Blythe Mayfield, wife of William Mayfield, is buried in the Friendship Baptist Church Cemetery located near the Greenville - Pickens County Line. Dates of birth and death are taken from her tombstone. She was the daughter of Reverend David Blythe. 49 i. Stanwix Greenville6 Mayfield, born 12 September 1861 in Polk County TN; died 1942. He married Leda Kennerly 21 October 1888. "Long prominent in the political and agricultural life of Bamberg County, Stanwix Greenville Mayfield of Denmark, S. C. has seen twelve years service in the state senate; has taken a leading part in the development of his community, and as a large farmer has contributed much to the upbuilding of Bamberg County. "Mr. Mayfield was born September 12, 1861 near Benton in Polk County, East Tenn., and in his boyhood removed to Greenville County S. C., near Marietta. As a youth he attended the schools in Friendship District, Greenville County; attended for one year the Marietta High School and then went to Furman University September 1879 and graduated in 1884 with the degree of Bachelor of Arts. He paid his own way through college and in addition to overcoming financial difficulties, conquered a more baffling difficulty, that of stammering which he finally put behind him entirely. In college he was twice president of the Adelphian Literary Society; was a Rex Convivi at the banquet held at Mansion House in Greenville in 1884. "Mr. Mayfield has long been a planter at Denmark; owns large tracts of fertile land and the largest grove of budded papershell pacans in the state. "Mr. Mayfield was admitted to practice law in May 1887. In 1892 he was elected state senator from Barnwell County, serving six years until Bamberg County was established from a part of Barnwell. He was then elected senator from Bamberg and served until 1904, making his service in the upper house twelve years. In all of his senatorial service he was a member of the judiciary committee and for eight years was its chairman. "In his years as a member of the General Assembly he gave special attention to road and school legislation and perhaps the first state-wide road law passed by the General Assembly was drawn by him in 1894. Following the adoption of the Constitution of 1895 he with J. E. Ellerbe in the House of Representatives (afterwards Congressman Ellerbe) drew the uniform school law, of that session. "William Mayfield married Miss Lillian Blythe, daughter of Rev. David Blythe, Marietta, son of William Blythe, son of St. George Blythe, son of James Blythe, minute man of Wilmington, N. C. David Blythe was a farmer and a Baptist minister and gave liberally to Furman University. He opposed secession from the Union, but equipped and sent three sons to the Confederate army. Absolom, Thomas and David - David was killed in the attack Peach Orchard Battery at Gettysburg. William Blythe was given land in the Cherokee strip for Revolutionary War services. He was a farmer. The family came from Blythe Wood, England. "October 21, 1888, Stanwix G. Mayfield married Miss Leda Kennerly, daughter of Captain Joseph Kennerly of Hart's Battery, and Mrs. Ellen (Dowling) Kennerly. Their children are Joseph Kennerly Mayfield, graduate of Furman; W. D. Mayfield, who attended Furman and Clemson colleges; Stanwix Greenville Mayfield, Jr., graduate of Annapolis Naval Academy, now lieutenant commander in the United States Navy; he served in the World War. submarine division; Christabel Mayfield, graduate of the Greenville Woman's College and now Mrs. Shelley S. Williams; Judson T. Mayfield, graduate of Clemson College. "Mr. Mayfield is a member of the Baptist Church; is a Knight of Pythias and a Knight of Honor and is a Democrat."